Hope you enjoyed last week’s dose of Indian summer. Because our sources predict that it may get colder from here. Luckily, you have two ways to beat the chill: earmuffs and warm cocktails. The list below does not concern earmuffs. You Require: Brown liquor, fermented apple juice and the chance to say this out loud at a bar. 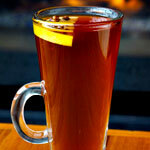 You’ll Receive: A glass mug filled with bourbon, cider, allspice, raw cane sugar and housemade cranberry bitters. Oh, and fresh sage. It’s all for nothing without sage. 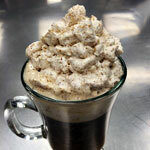 You’ll Receive: Tequila-spiked coffee with agave, mole bitters and Mexican-chocolate whipped cream. No word on decaf. 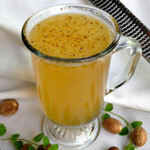 You Require: Honey, but from a cocktail instead of a plastic bear bottle. 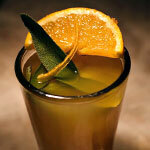 You’ll Receive: A warming mixture of Bärenjäger honey liqueur, Laird’s Applejack, spice box syrup, citrus and cloves. This is why bees are important. You Require: Just the necessities. By which we mean whiskey and butter. You Require: Tea time. But not like that. 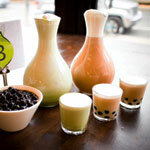 You’ll Receive: Your choice of nine adult tea concoctions (like grapefruit gin tea and coconut whiskey milk tea) served in a carafe big enough to satiate you and a date. Never pass up a good carafe opportunity.